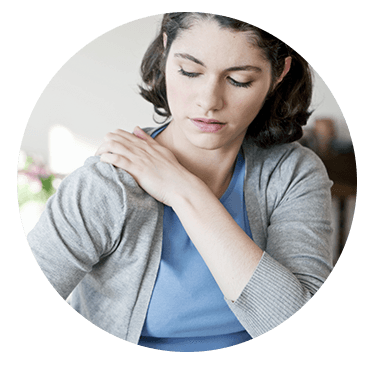 If you suffer from shoulder pain, you know that it doesn’t take long for everyday activities to become painful. When something as simple as reaching for an item from a kitchen cabinet, lifting a child, or throwing a ball becomes impossible to do without pain, it’s time to get help. You deserve the best shoulder pain treatment available! That is why the pt Health clinical team has developed the Comprehensive Shoulder Pain Strategy. Our clinical approach involves a comprehensive individual analysis that takes your injury type, risk factors, lifestyle, and work function into account so that you can get well and stay well – now! Does not involve medication or painkillers. 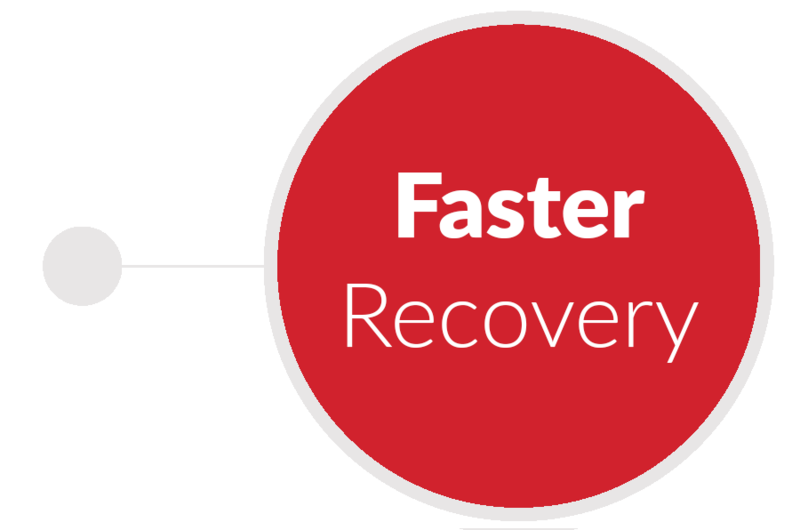 Actively involves patients in their own recovery. Provides preventative strategies to deal with lifestyle, work, and other risk factors. Is also beneficial for post-surgical recovery. Is covered by most extended health plans. Starts quickly with next day appointment availability. Symptoms: Persistently painful and stiff shoulder joint. Also called adhesive capsulitis, frozen shoulder is characterized by stiffness and pain in the shoulder joint. If you are recovering from a medical condition that affects the mobility of an arm, such as a stroke or mastectomy, the risk of developing frozen shoulder increases. 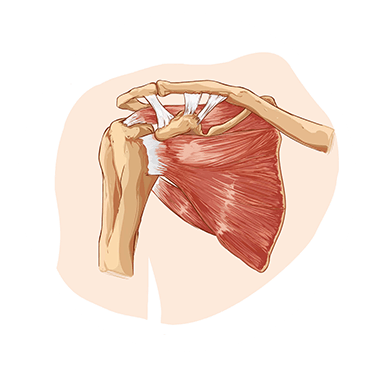 The bones, ligaments, and tendons in the shoulder joint are encased in a capsule of connective tissue. This capsule can thicken and tighten around the joint restricting its movement. Typically signs and symptoms begin gradually and worsen over time. For some, the pain is worse at night, affecting normal sleep patterns. Frozen shoulder typically develops in three stages that can last a number of months. During the first stage, pain occurs with any movement of the shoulder and the range of motion starts to be limited. The pain may diminish in the second stage, but the shoulder becomes much stiffer and the range of motion decreases notable. During the “thawing” or third stage, the range of motion begins to improve, particularly if you work with a physiotherapist to speed the rehabilitation process. Depending on the stage, your pt Health physiotherapist will use a variety of approaches. Acupuncture, IFC (interferential current), and moist heat might be used to help manage pain. Going forward, a pt Health will work to maintain and increase both passive and active range of motion through manual therapy and specific exercises. Working with the stabilizing muscles, the physio will also work on muscle balance and patterning. Depending on cause and severity, mobilization of the thoracic spine through manual therapy may also be beneficial. Your physio or occupational therapist may also work with you to help you modify your activities or provide recommendations for modification at work and at home. Because the three stages of frozen shoulder are well-defined, recovery should be gradual with a slow, steady progress over time. Pain and stiffness when raising or lowering arm. Minor pain that is present both during activity and at rest. Pain radiating from the front of the shoulder to the side of the arm. Sudden pain with lifting and reaching movements. Athletes may have pain with overhead activities (such as throwing a ball). Loss of strength and motion. Difficulty doing activities that place the arm behind the back (such as zippering or buttoning). Bursitis and Tendinitis – what’s the difference? The words “bursitis” and “tendinitis” are often used interchangeably. Both mean the inflammation of a soft tissue structure. Tendons connect muscle to bone and a bursa is a slippery structure that exists in places where tendons pass over bones to help alleviate potential friction. When a tendon is inflamed and irritated, the word tendinitis is used. When the bursa is inflamed, the word bursitis is used. Often the two conditions are related as both structures can become inflamed simultaneously. In essence, it is a different way of saying that there is inflammation in a particular structure of the shoulder. The inflammation within the shoulder joint causes a specific set of symptoms called “impingement syndrome.” When the bursa or tendons become irritated or inflamed between the top of the arm bone (humerus) and tip of the shoulder blade (acromion), impingement syndrome occurs because the tendons are no longer able to slide effortlessly in this space and become pinched between the bones. How are they all related? In shoulder bursitis or tendinitis, there is usually an injury that occurs that sets off a cycle of inflammation and pain in the tendons and bursa. The tendons and/or bursa thicken and are more apt to become trapped in between the bones, irritating them further and causing impingement syndrome. The therapeutic approach to shoulder bursitis, tendonitis, and impingement syndrome is very similar. The pt Health physiotherapist will use acupuncture, IFC (interferential current), TENS (transcutaneous electrical nerve stimulation), moist heat, and/or ice to help manage pain. Muscle balance and patterning will be addressed through work with stabilizing muscles, and the pt Health physiotherapist will work on improving both the active and passive range of motion through exercise and manual therapy. In some cases, therapeutic ultrasound will be used to stimulate healing and break down scar tissue. Patients can expect a fairly rapid healing phase. Pain at rest and at night, especially when lying on the affected shoulder. Pain when lifting or lowering your arm with specific movements. Weakness when lifting and lowering your arm. Crackling sensation when moving your shoulder in certain positions. If caused suddenly, as in a fall or other traumatic injury, there is typically intense pain. There may also be a snapping sensation and immediate weakness in the upper arm. The shoulder is a ball and socket joint. The head of the upper arm (humerus) fits into a shallow socket in your shoulder blade (scapula). The rotator cuff is a network of four muscles that come together as tendons to form a covering around the humerus. The rotator cuff attaches the humerus to the shoulder blade and helps to lift and rotate the arm. The bursa allows the tendons to glide freely, but when the tendons are injured or damaged, the bursa can also become inflamed and painful (impingement syndrome). When one or more of the rotator cuff tendons are torn, the tendon no longer fully attaches to the head of the humerus. Most often, torn tendons begin by fraying, usually through injury or degeneration. As the damage progresses, the tendon can completely tear, sometimes when lifting a heavy object. Are there different kinds of tears? Partial Tear – this type of tear damages the soft tissue but does not completely sever it. Full thickness tear – this is also called a complete tear. It splits the soft tissue into two pieces. Often, the tendons tear off where they attach to the head of the humerus leaving what is essentially a hole in the tendon. What is the difference between an acute and a degenerative tear? An acute tear can happen if you fall on your outstretched arm or lift something too heavy with a jerking motion. 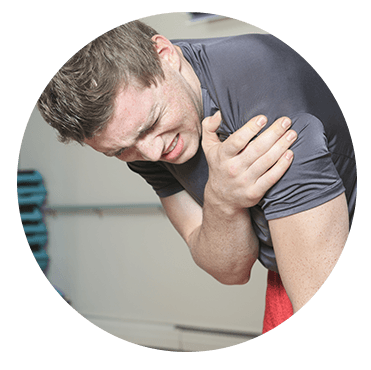 Acute tears can also happen with shoulder injuries (i.e. broken collarbone or dislocated shoulder). This is a common cause of tears in young people. A degenerative tear occurs slowly over time, naturally occurring as we age. Rotator cuff tears are more common in the dominant arm. If you have a tear in one shoulder, there is a greater risk for a tear in the opposite shoulder even if that shoulder is pain-free. There are several risk factors that contribute to degenerative tears. Repeating the same motion over and over again causes repetitive stress that can contribute to tendon tears. Activities like baseball, tennis, rowing, and weightlifting can put you at risk for overuse tears. Routine jobs and chores, especially those that involve overhead lifting, can also cause overuse tears. Aging lessens the bloody supply to the rotator cuff tendons, limiting the body’s ability to repair tendon damage and potentially leading to tears. Aging can also cause bone spurs to develop on the underside of the shoulder blade (acromion). These spurs rub on the rotator cuff tendon every time we lift our arms. This is a form of shoulder impingement and increases the risk for tears. Treatment for a partial tear and a full tear is different. For a partial tear, your pt Health physiotherapist will follow the same therapeutic approach as they would for shoulder bursitis, tendonitis, and impingement syndrome. However, treatment for a full tear will most often require surgery, particularly if the tear is acute and the result of a traumatic injury or event. In those cases, pt Health physiotherapists will work with post-surgical patients to ensure that an optimal recovery with a full range of motion is restored. The exception to the need for surgery sometimes happens when the tear is full but as a result of a degenerative process rather than acute. In this case, pt Health physiotherapist will work to minimize any further loss of function by ensuring that all supporting muscles and function around the area are supporting optimally. Conservative treatment for full, degenerative tears can be very effective. Research clearly shows that the sooner you start treatment for pain or injury, the higher your chances of feeling relief quickly. At pt Health, our clinicians are recognized leaders in the health care field. Many have respected roles in regulatory bodies, provincial associations, government committees, and mentorship programs. Pt Health clinicians also train other health care professionals through continuing education courses and in post-secondary institutions. We believe our patients deserve the best treatment possible. That is why our clinicians continue to learn, teach, collaborate, and innovate throughout their careers at pt Health. Pt Health clinicians understand the complexities of pain, injury, and managing ongoing health concerns. We believe that every patient’s experience is unique and important. We have a team of dedicated, compassionate, and committed professionals who work together to make sure that our patients get well and stay well. At pt Health, we know that sorting out insurance paperwork can be time-consuming and confusing. We want your focus to be on getting well and staying well. With that in mind, we do our best to help you navigate through the necessary forms. We speak with your insurance providers and we’ll answer any questions you may have about your coverage. pt Health services are covered by most health care insurance plans. In most cases, if you are using your extended health care carrier or work plan, we do not require you to pay for your therapy sessions up front. * Instead, we bill your insurance company on your behalf. If you have extended health care benefits that cover therapy, most auto insurance companies require that your claim be placed through your extended health plan first. Any remaining balances for services are then covered by your auto insurance plan. On your first visit, you may be asked to provide information about your extended health plan. If you do not have extended health care benefits that cover therapy, your treatments may be billed directly through your auto insurance company. For residents of British Columbia, ICBC covers a partial amount of treatment visits. Patients will be asked to co-pay the difference at each visit. If a patient has extended health care benefits, it is possible to claim the difference back. Workplace Safety Insurance Board (WSIB/WCB) - Billed directly for your convenience. Although each clinic’s approach to intake, assessment and therapy do vary, generally speaking your physiotherapist will ask a series of questions that will help better describe all of your symptoms in detail. Your physiotherapist can then carry out your assessment. The physiotherapist will examine you physically and discuss the findings, the cause of the problem, and suggest a solution that can effectively treat your health problem. OHIP covered physiotherapy services must be provided by a designated OHIP physiotherapy clinic. OHIP covers physiotherapy treatments, but does not cover the cost of an initial assessment. To qualify for OHIP coverage, you must have a medial doctor’s referral, be 19 years or younger, be 65 years or older, or be receiving benefits under the Ontario Disability Support Program or Family Works. If you have been admitted overnight in hospital for a condition that now requires physiotherapy, you are also eligible. For any treatments that are only partially covered, you may be asked to co-pay the difference at each visit.